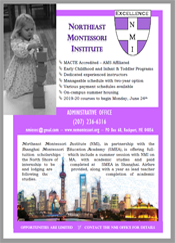 Northeast Montessori Institute – Encouraging a love for learning! 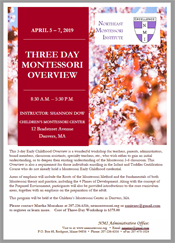 NMI is excited to be entering its 35th year of Montessori teacher education! The 2019-20 EC and IT courses are scheduled to begin Monday, June 24, 2019. All classes will be held on the campus of Gordon College in Wenham, MA. 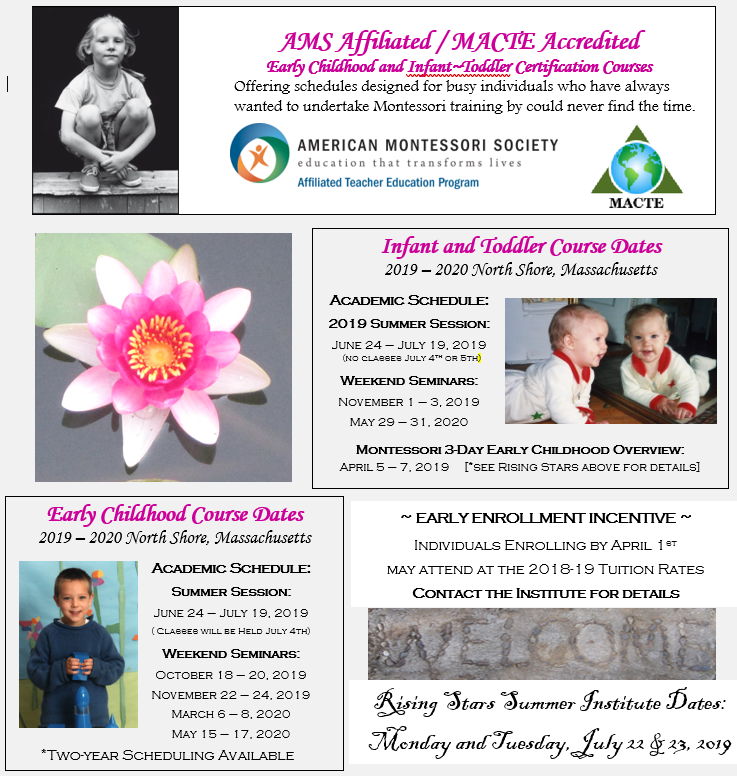 The 35th annual Summer Institutes through Rising Stars will take place Monday and Tuesday, July 22nd and 23rd, 2019.